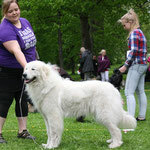 Our Finnish Speciality show started under wonderful weather & the best of company! 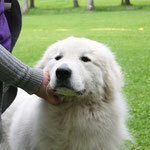 We had Marion & her hubby over for the weekend along with Kata & her pack. 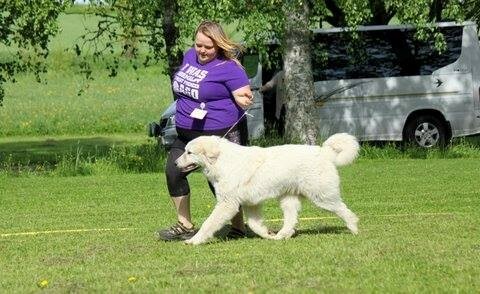 We picked Pia Hansson up, my puppy owner, who was tagging along as tourist. 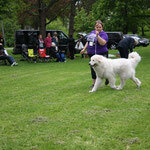 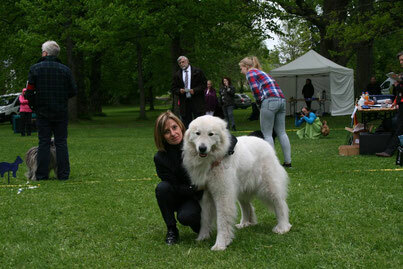 Also our puppy Nooa & his owner Jonna were entered at the show. 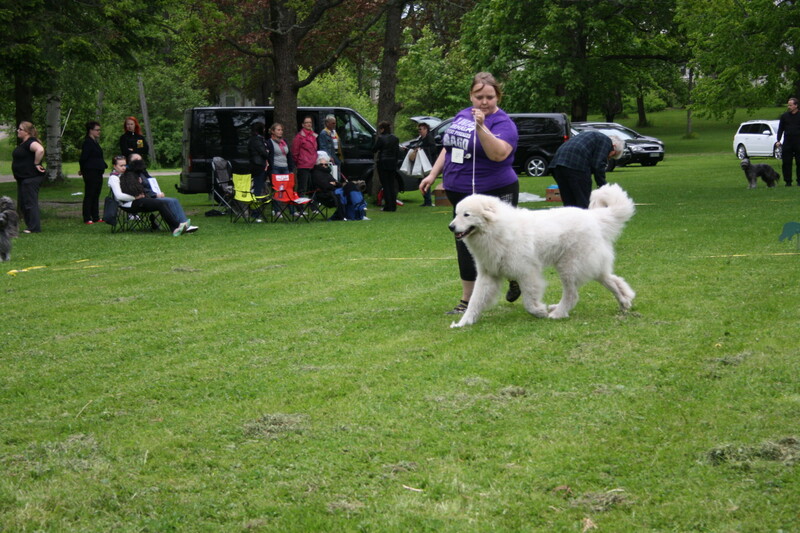 the grounds were chosen carefully & the location was perfect! 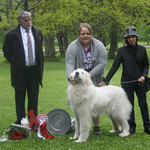 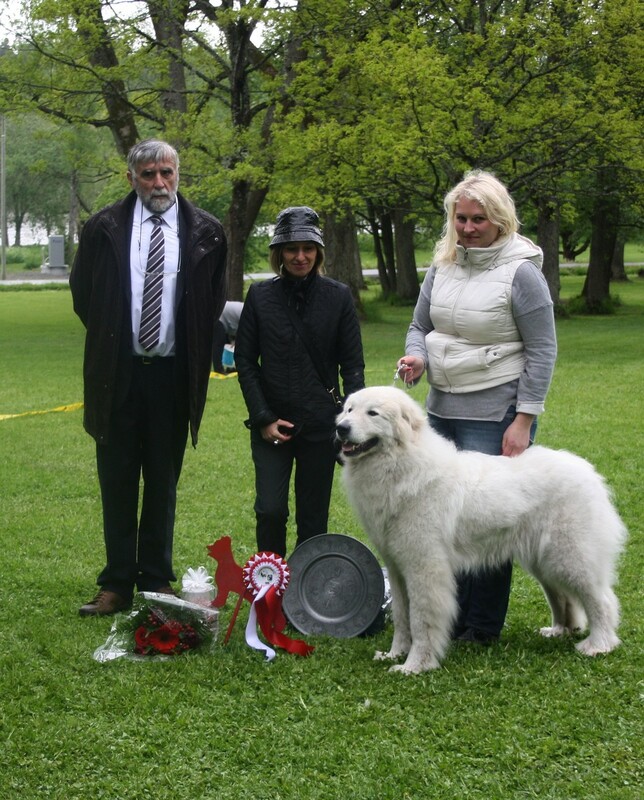 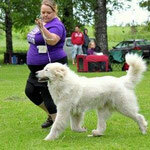 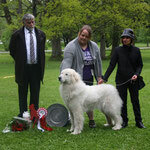 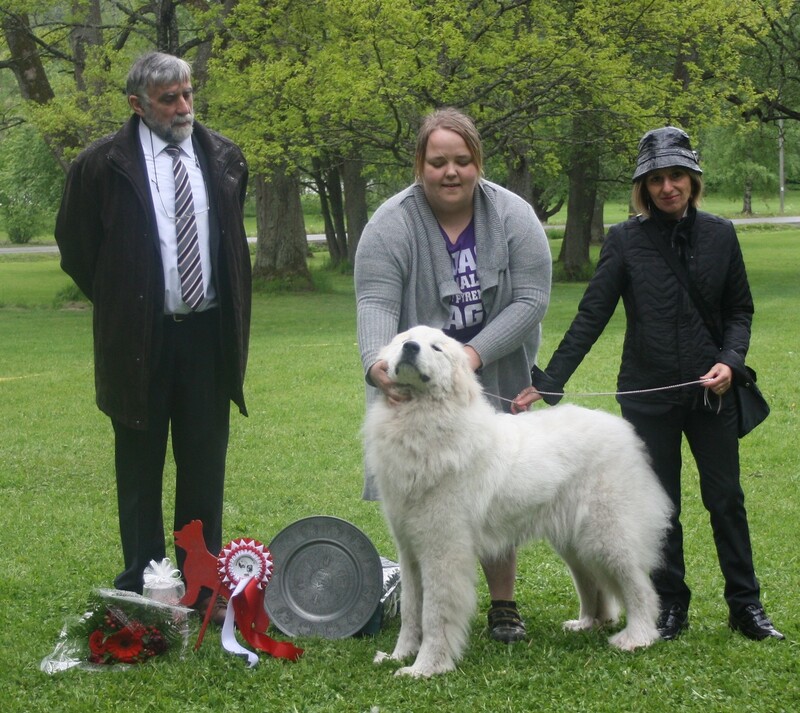 Our judge was Elena Vespa, a long time breeder & highly respected judge for our breed. 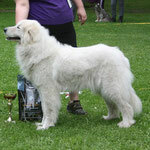 Mountain's Pearl Never say Never "Respera" was BOB- Puppy & BISS-1 puppy under Michel Thebault, France. 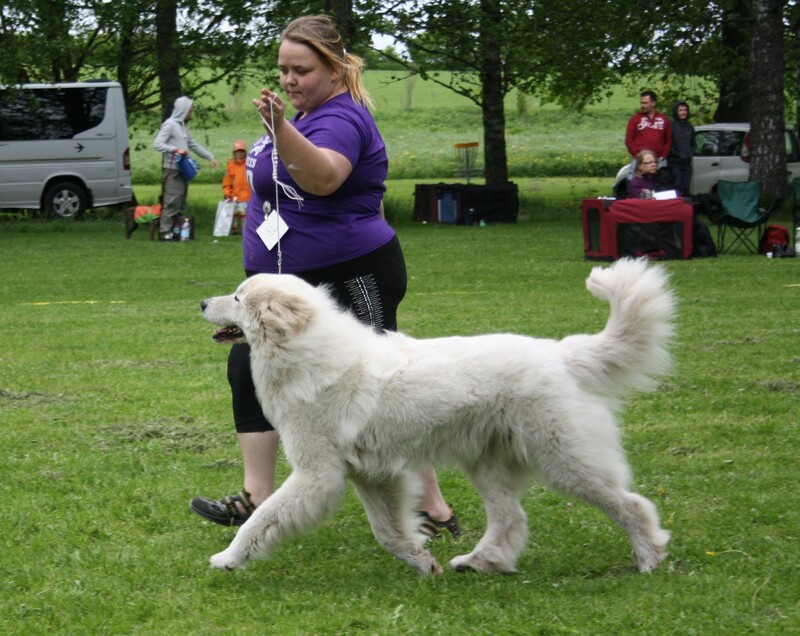 Thanks Kata for handling him in the BISS ring as i was busy waiting for the next one! 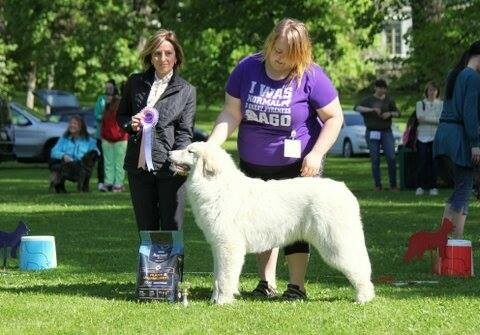 Echo de'Chien Bewitched "Wicca" won her class, came BB1, & Best of Breed under Elena Vespa with such a wonderful & heartfelt critique that it made me cry. 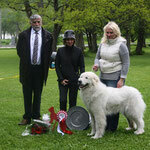 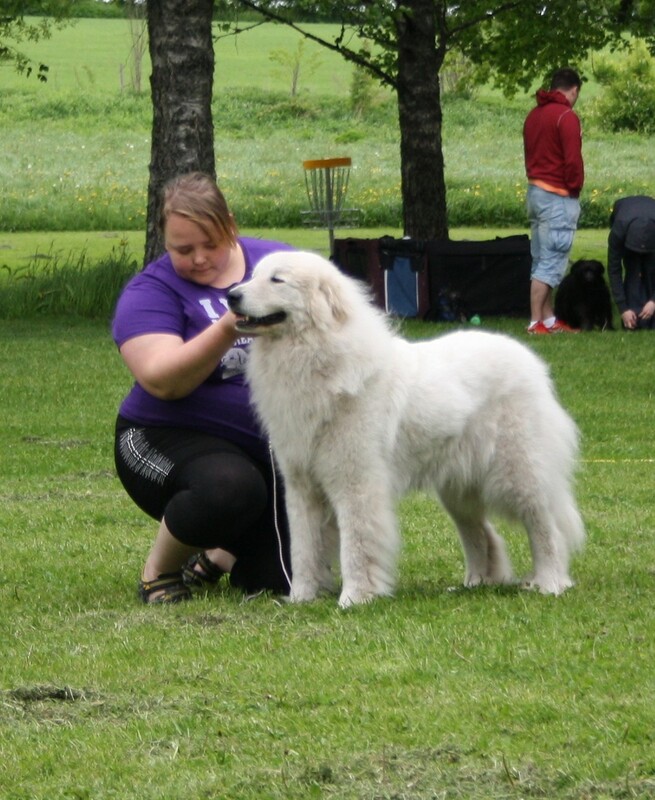 More than this, She became BISS out of 3 breeds under judge Michel Thebault, FR with wonderful praises that made me blush! 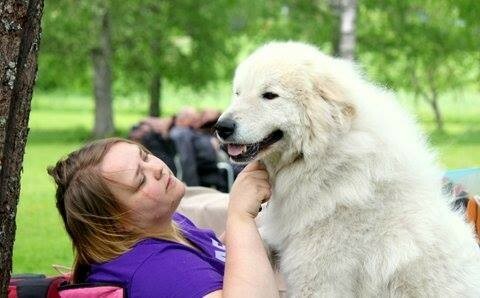 All of this was overwhelming in its own but what made the day perfect was to share it with friends. 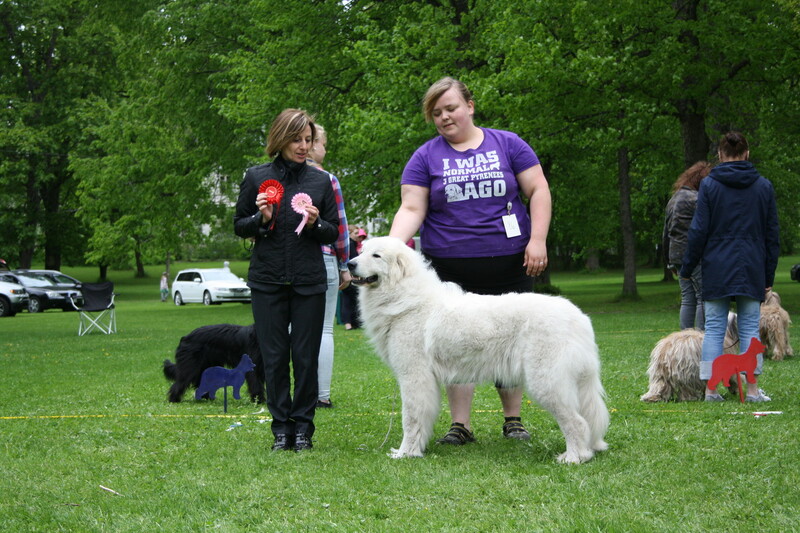 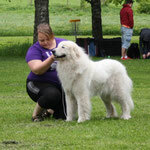 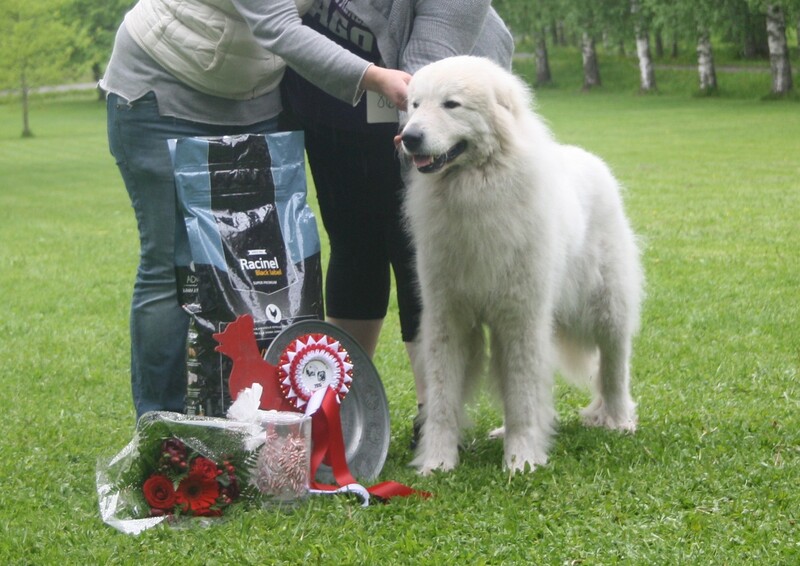 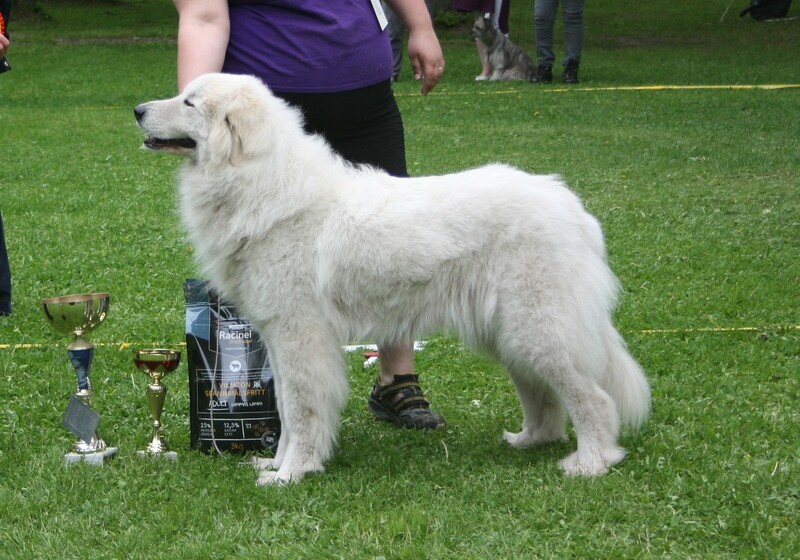 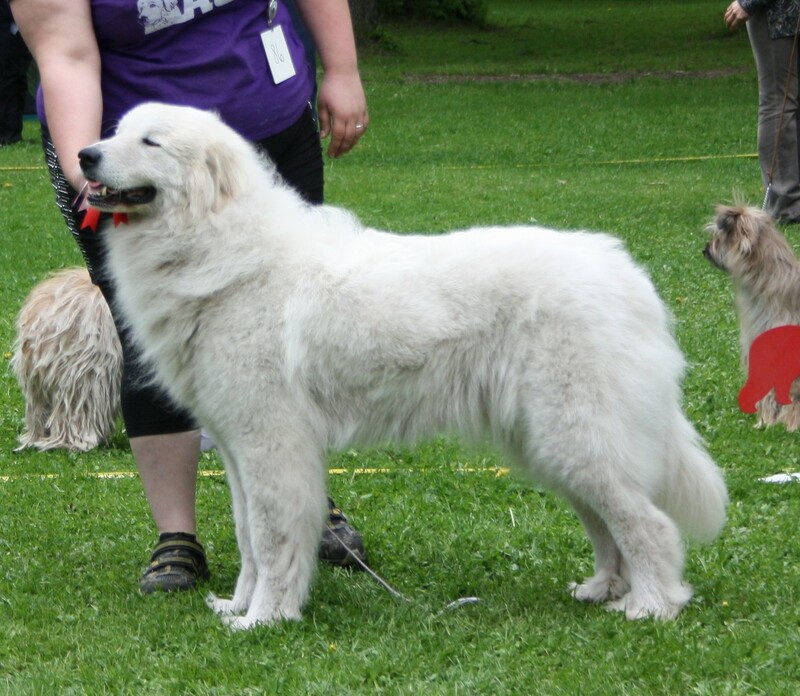 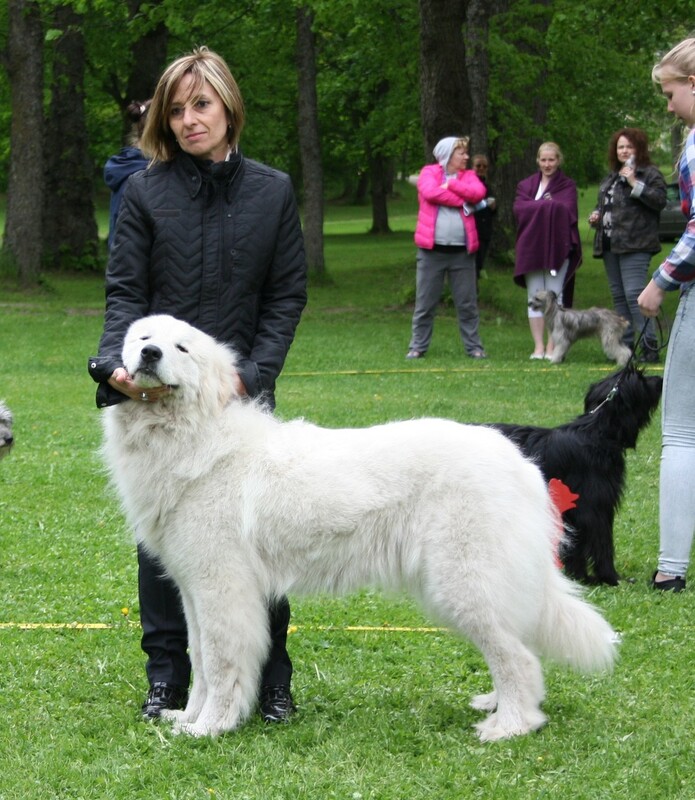 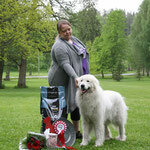 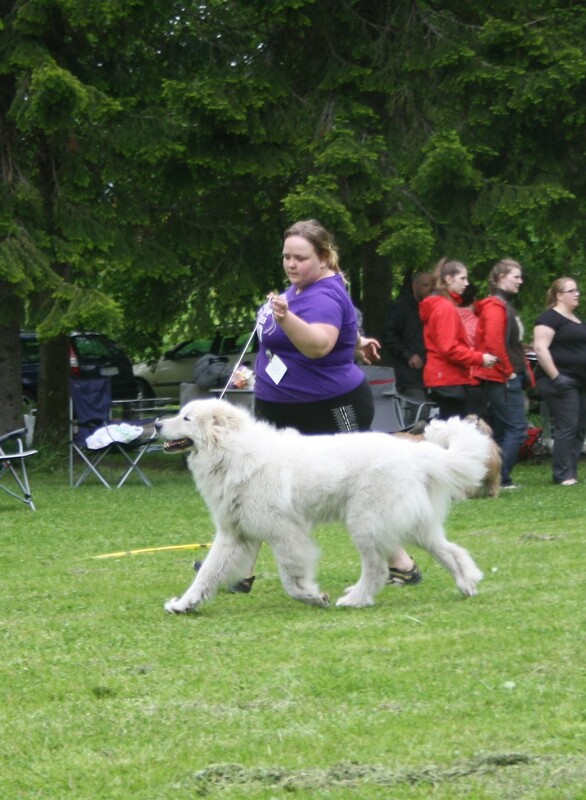 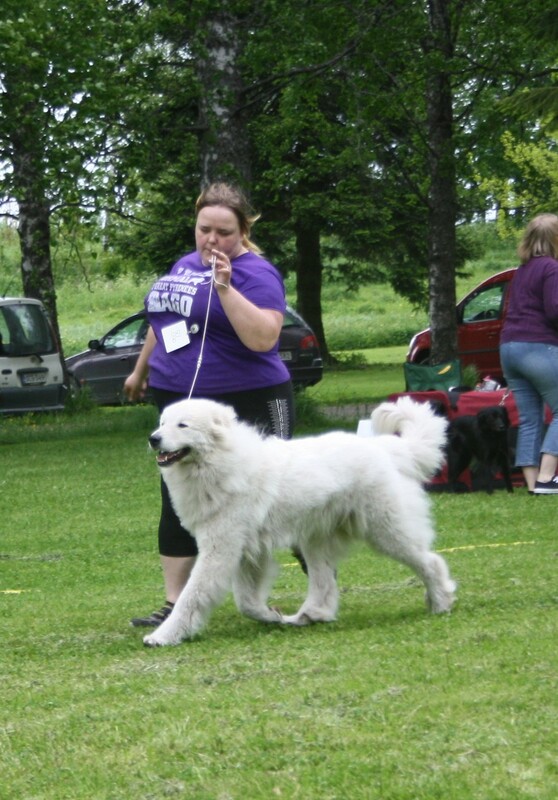 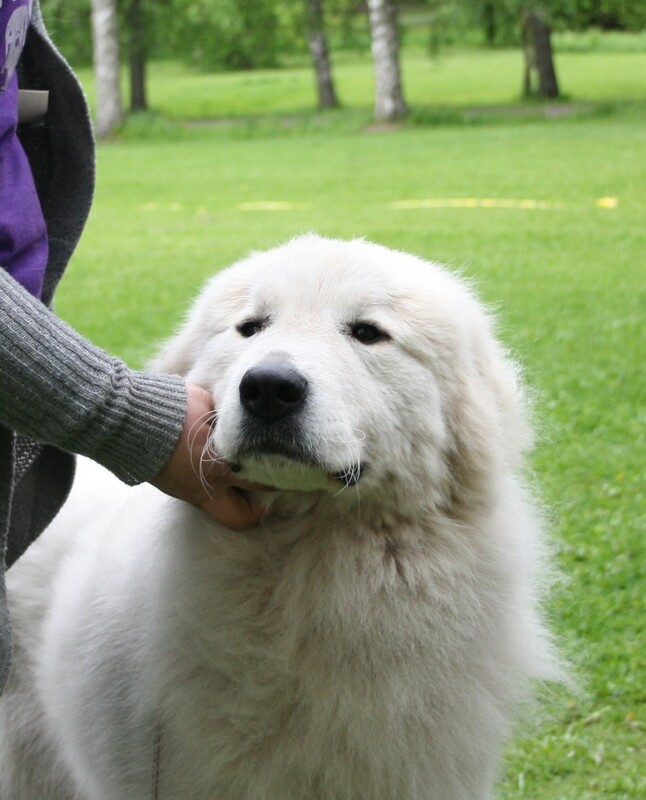 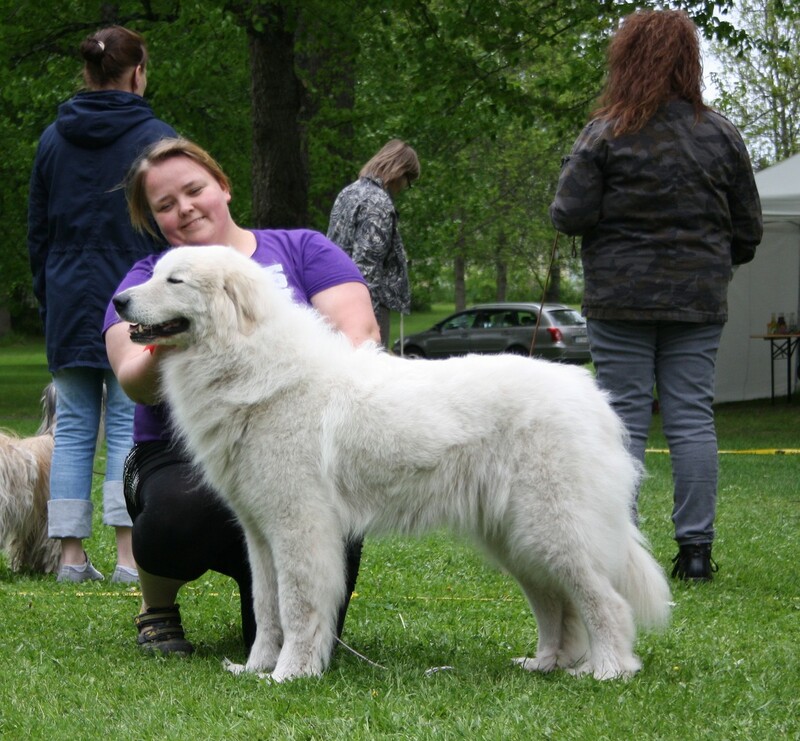 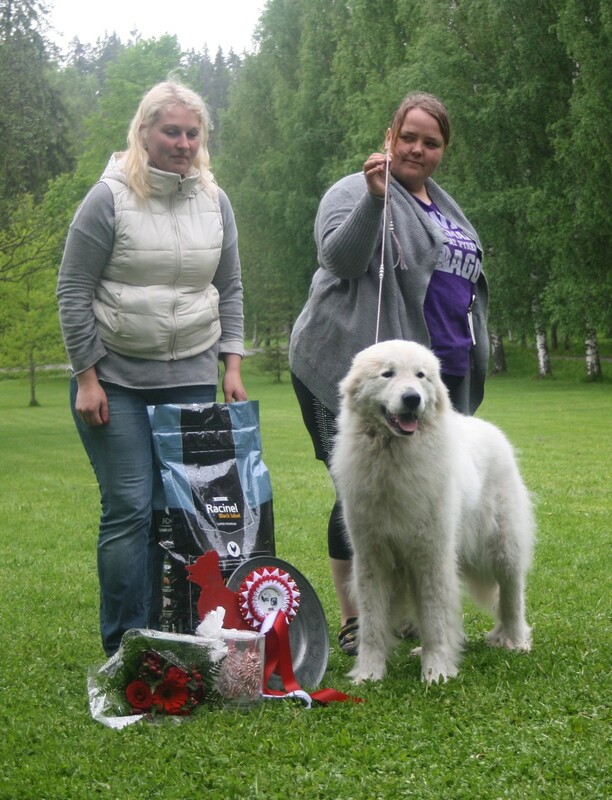 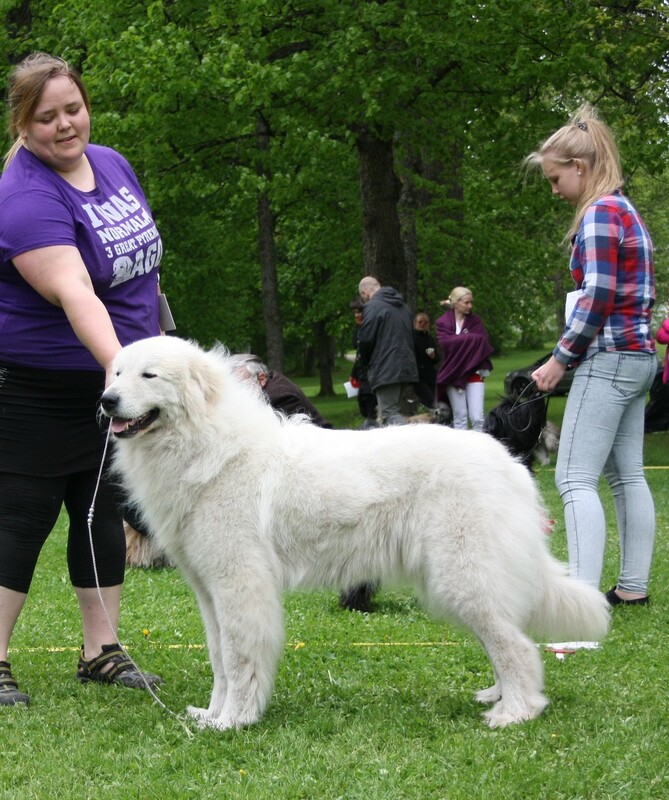 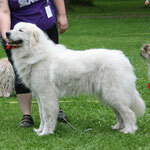 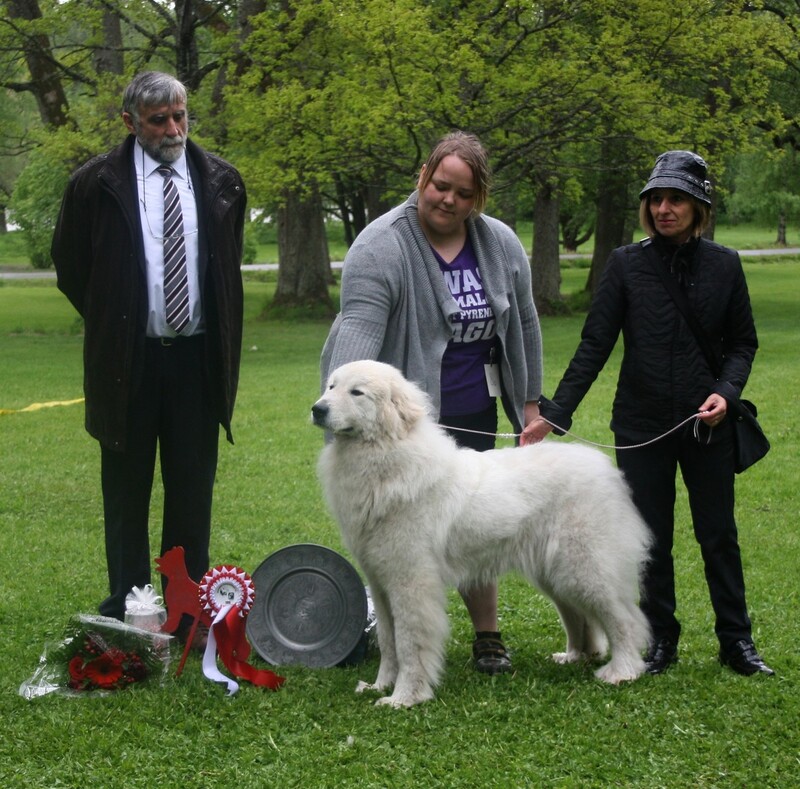 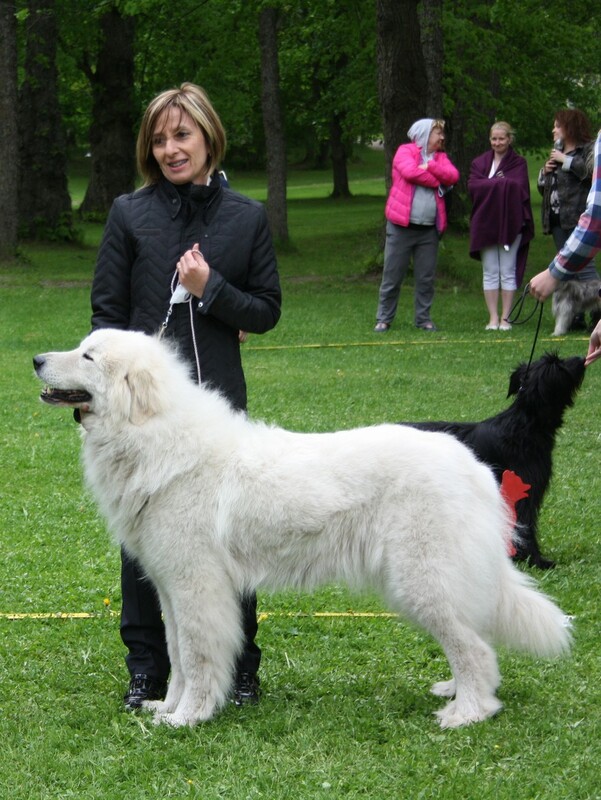 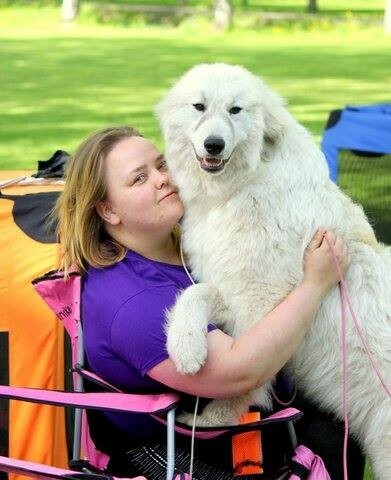 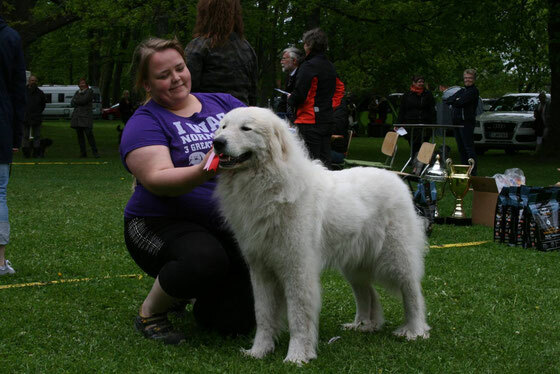 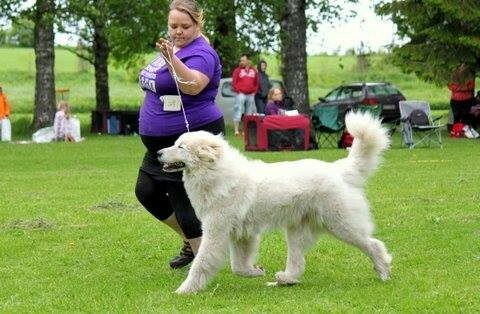 Thank you everyone for your sincere congratulations & hugs- Wicca beat my personal dream pyr Fago de Alba de Los danzantes literally by a hair- a tough competition all the way. 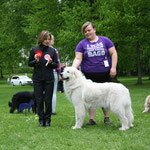 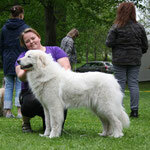 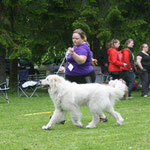 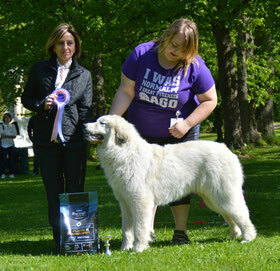 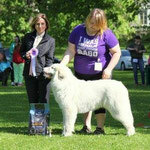 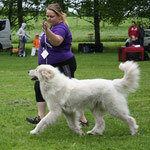 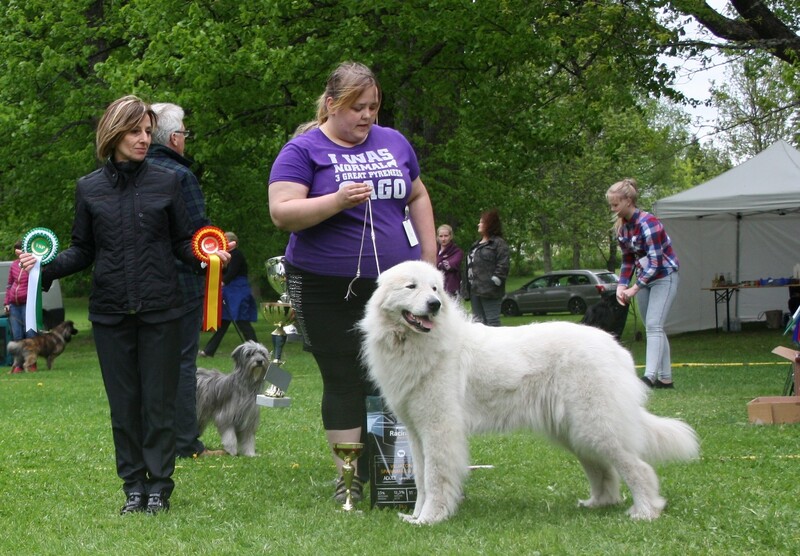 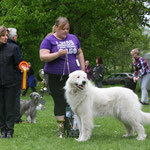 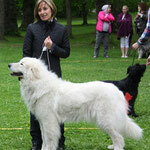 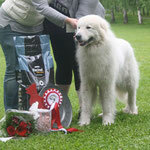 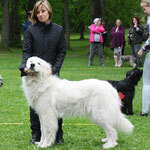 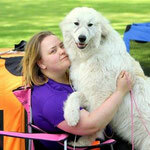 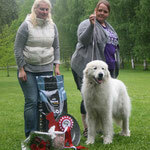 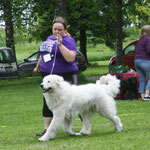 Same went for so many other pyrs who had entered the show. 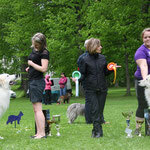 We had a lovely amount of over 40 entries i personally thought there was alot of quality there to compete against. 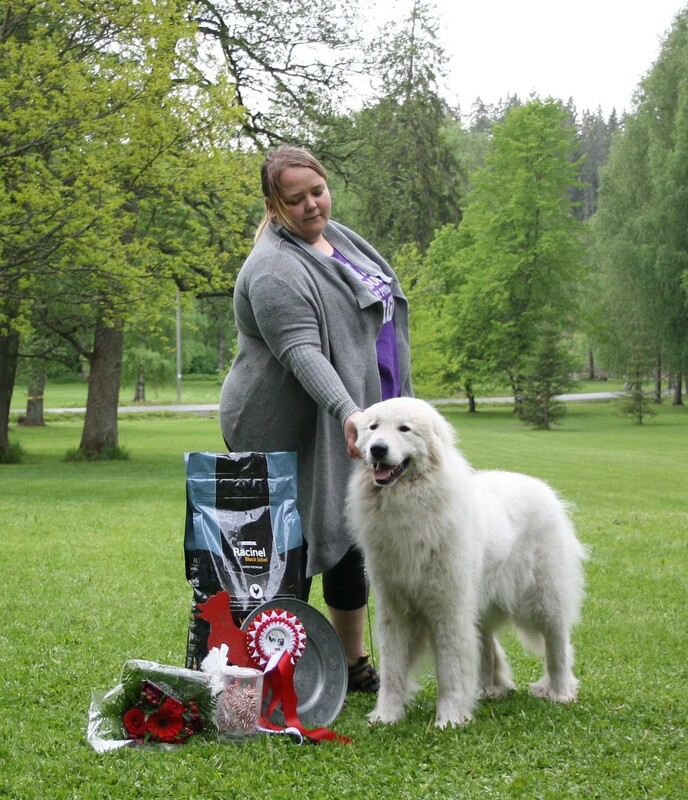 Thanks again, you know who you are!